To assure professionalism and the quality of your workspace, all clients are advised to provide a work brief that is clear and also maintain a good communication with the selected freelancer through the provided workspace. 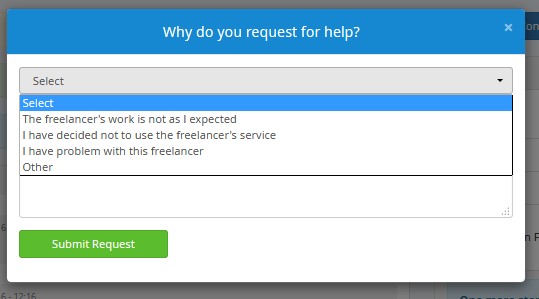 If the freelancer is not working as your expectation or you are not satisfied with the quality of his/her work, you can click on "Request Help" button that is provided in your workspace. Select from the topic menu or click "Others" and begin writing your issues to our team. Click "Submit Request" to get feedback. 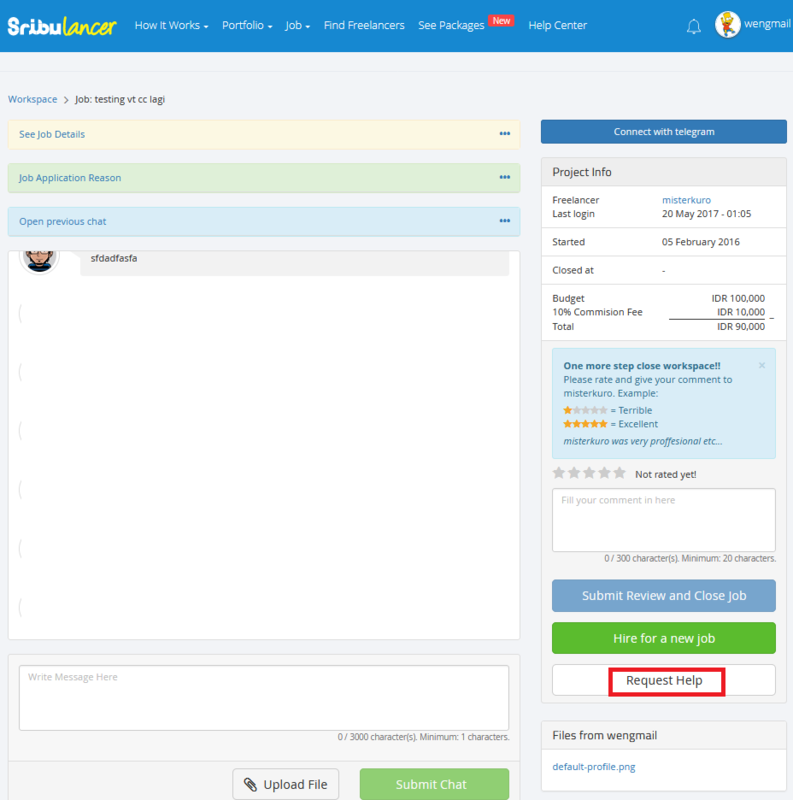 Our Sribulancer team will immediately handle your issues by getting in touch with the freelancer and provide the mediation help for both parties.